Do people cower in fear when they hear your child’s name? 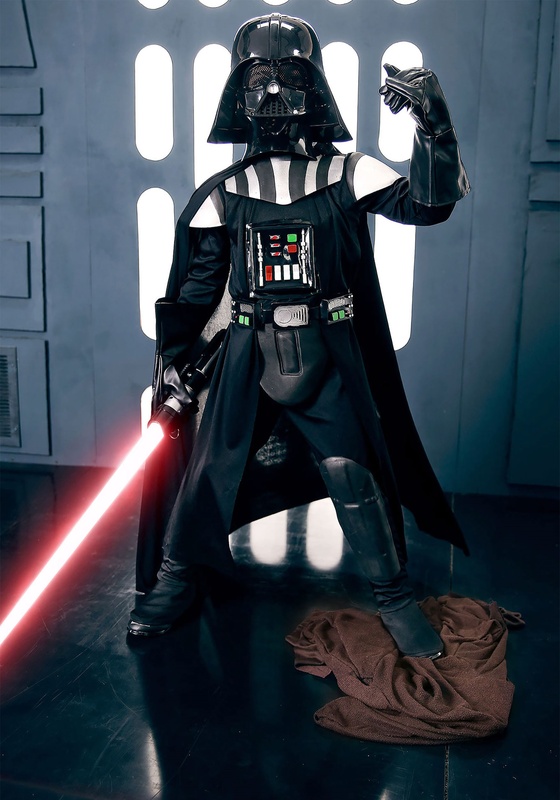 Well, everyone cowers in fear when they hear the name “Darth Vader” uttered. Maybe it’s his mastery over the Dark Side of the Force that strikes fear into his foes. Maybe it’s his impressive lightsaber skills. Perhaps it’s the menacing black armor that he wears during the original Star Wars Trilogy. We think it might just be his deep James Earl Jones voice! 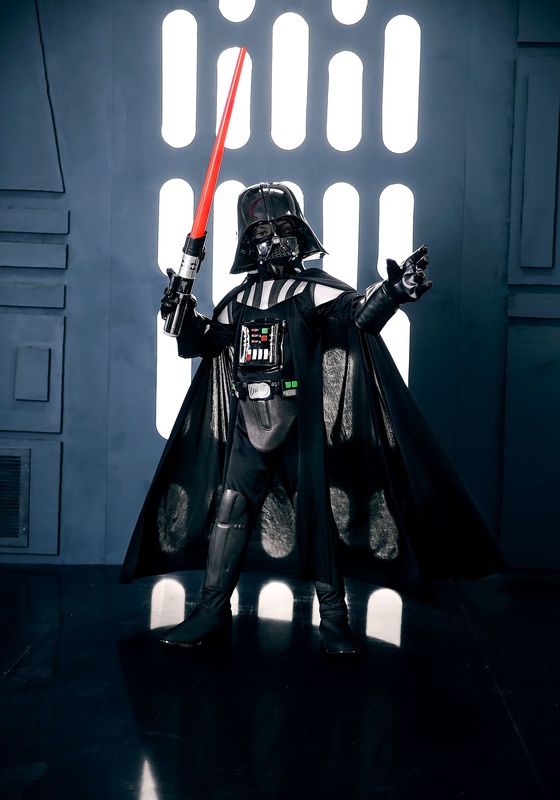 Well, the unfortunate truth is that we can’t all have the deep voice of James Earl Jones (although speaking into a pedestal fan does help anyone do a pretty good Darth Vader impersonation). 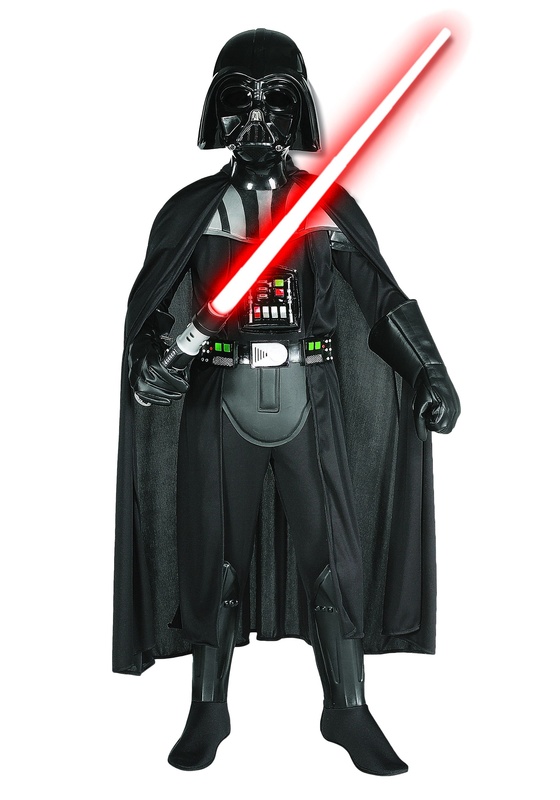 We can, however, help your child achieve the look of a menacing Sith Lord with this Deluxe Edition Darth Vader costume for kids. 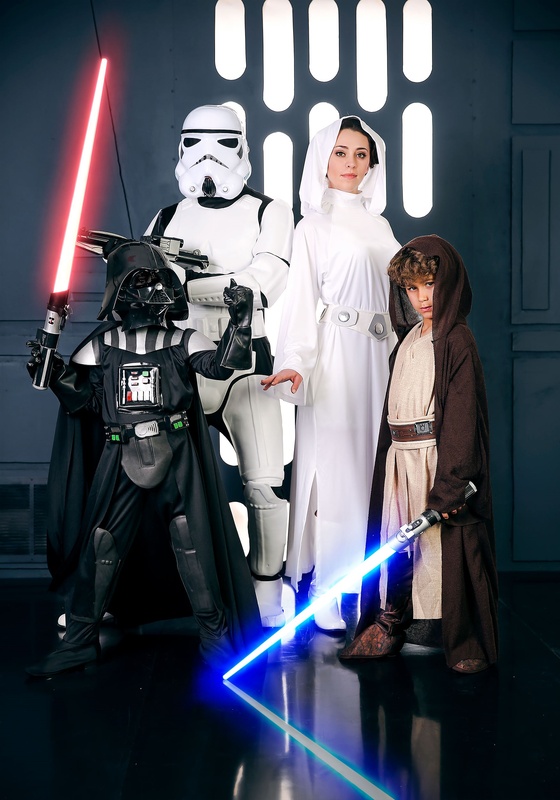 Once your child has it all on, he may just have the desire to hunt down the last of the Jedi Knights in the galaxy. 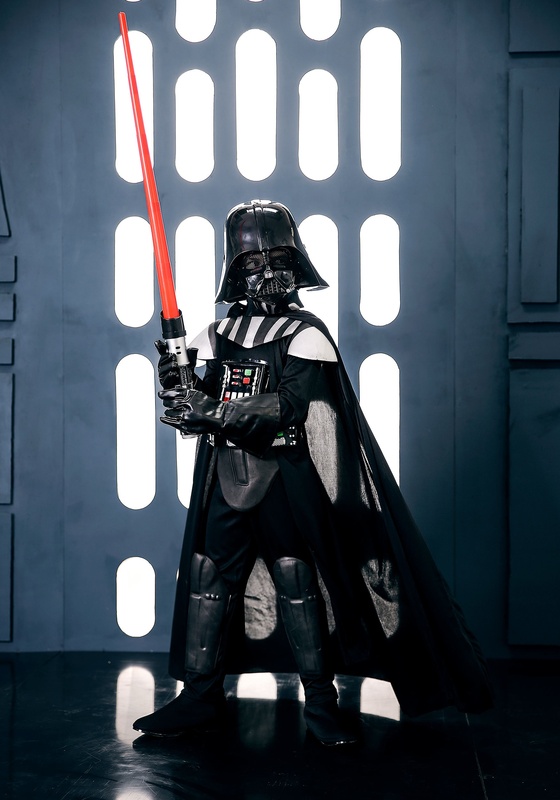 Make sure he’s properly equipped with one of our Star Wars lightsabers and you may even want to check out our Emperor Palpatine costume to help guide him on his path to the Dark Side.